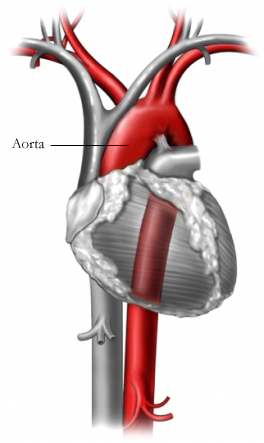 Thoracic endovascular aortic repair (TEVAR) is a surgery to repair the largest blood vessel in the body – the aorta. This traditional open surgery is necessary to strengthen a dangerous, weak and bulging blood vessel (aneurysm). An appointment with a cardiovascular surgeon requires a referral from your cardiologist or primary care provider. You will be placed under anesthesia and your doctor will make a chest incision. Your doctor will place clamps above and below the aneurysm and the damaged part will be removed. A graft (tube) will stitched in to replace the damaged section. Oxygen-rich blood will pump through the strong, new graft to the rest of the body. Your doctor will remove the clamps and check for leaks. Your Heart Team will closely monitor and partner with you to create a custom plan for recovery and rehabilitation.